George is dedicated to improving qualified retirement plans of Seattle businesses. He builds customized plans and creates solutions designed to improve investment performance for your retirement plan and your employees. 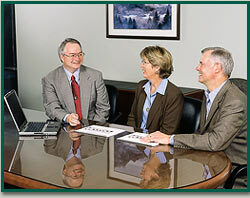 George examines your overall financial picture, and then designs a trust to serve your long-term needs. He balances the income requirements of today against the needs of tomorrow - helping to ensure the security of both your current and future financial needs. George is securities and advisory registered through KMS Financial Services, Inc., a full-service broker-dealer and Registered Investment Advisor providing access to publicly traded stocks, bonds, and options, plus a wide range of mutual funds, unit investment trusts, variable life and annuity products, and cash management services. KMS is an independently operated, wholly owned subsidiary of Ladenburg Thalmann Financial Services Inc. Because KMS generates no products themselves, I have the freedom to select the best investment products and services on the market to meet your particular needs. 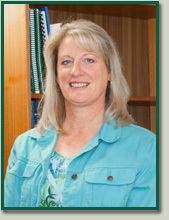 Joining our team in 2011, Connie brings experience in administrative assistant and bookkeeping duties. She earned a BA in Humanities from California State University, Northridge. She is an active volunteer in her community and writes grants for nonprofits. Her favorite activities are spending time with her family and enjoying all that the Puget Sound region offers.